Trade in counterfeit and pirated goods is a vital threat for modern, innovation-driven economies, a worldwide phenomenon that grows in scope and magnitude. Counterfeiters ship infringing products via complex routes, with many intermediary points, which poses a substantial challenge to efficient enforcement. 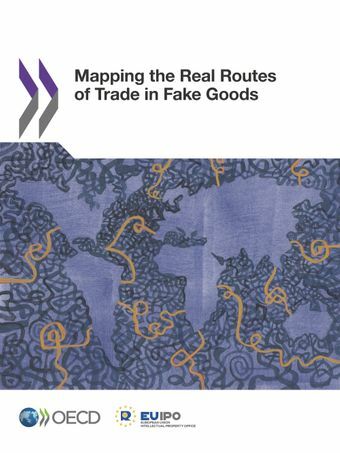 This study looks at the issue of the complex routes of trade in counterfeit pirated goods. Using a set of statistical filters, it identifies key producing economies and key transit points. The analysis is done for ten main sectors for which counterfeiting is the key threat. The results will facilitate tailoring policy responses to strengthen governance frameworks to tackle this risk, depending on the profile of a given economy that is known as a source of counterfeit goods in international trade.